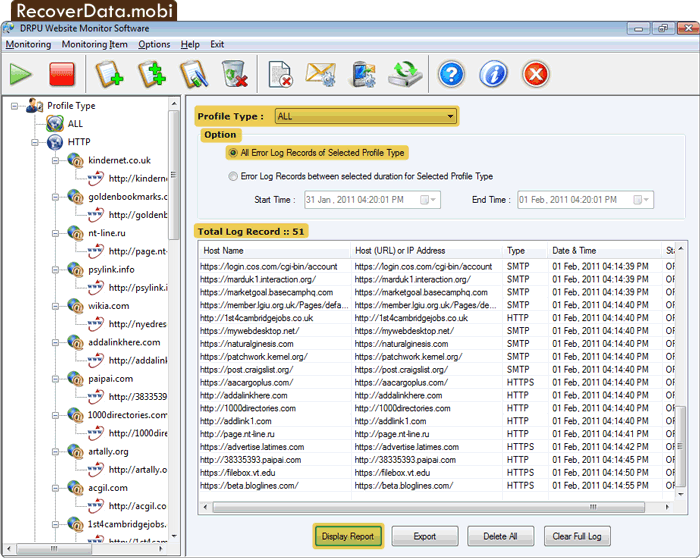 Click on start button from tool bar to run website monitoring process. User can add, edit and close profile as per need. 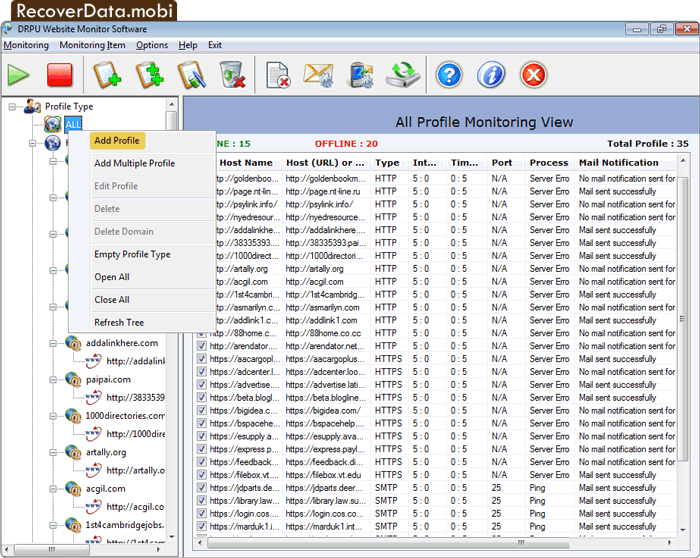 Select Profile Type option and click on 'Display Report' button to view monitoring log report. User can stop monitoring process by clicking on 'STOP' Button from toolbar.